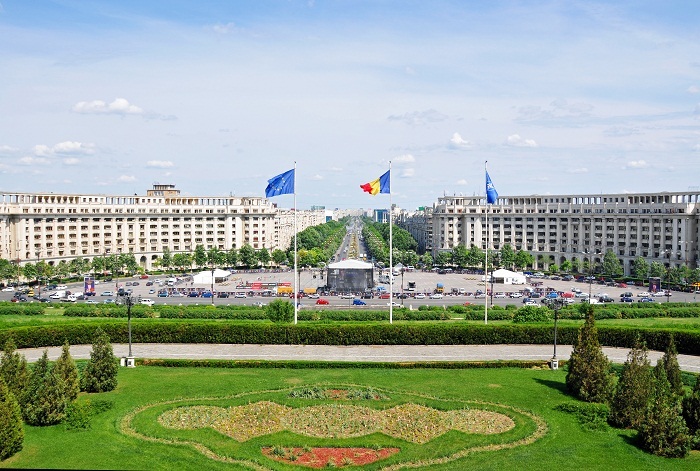 Palace of the Parliament is the official seat of the Parliament of Romania and second largest administrative building in the world, which is located in the city center of the capital city Bucharest, in Sector 5. 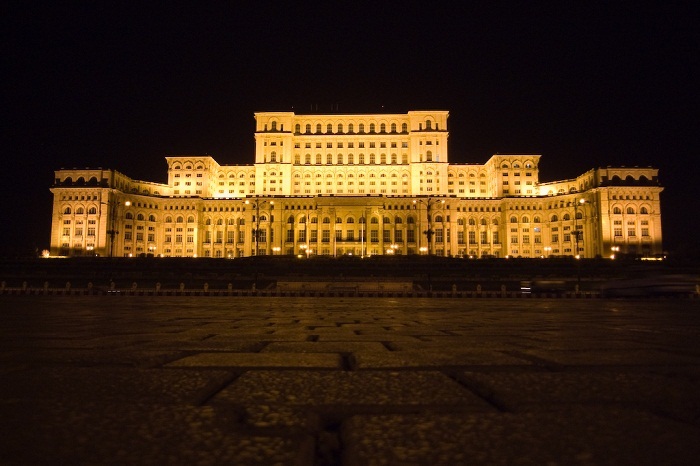 Due to its immense physical, psychic and historic stature, it is one of the most controversial buildings in Romania. 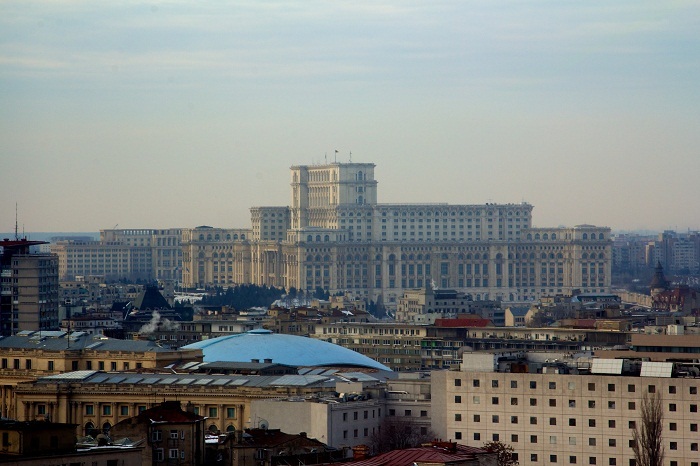 The idea was to the late Communist leader of Romania, Nicolae Ceaușescu, who after the earthquake of 4 March 1977 proposed the People’s House as the center of the development project for the city. 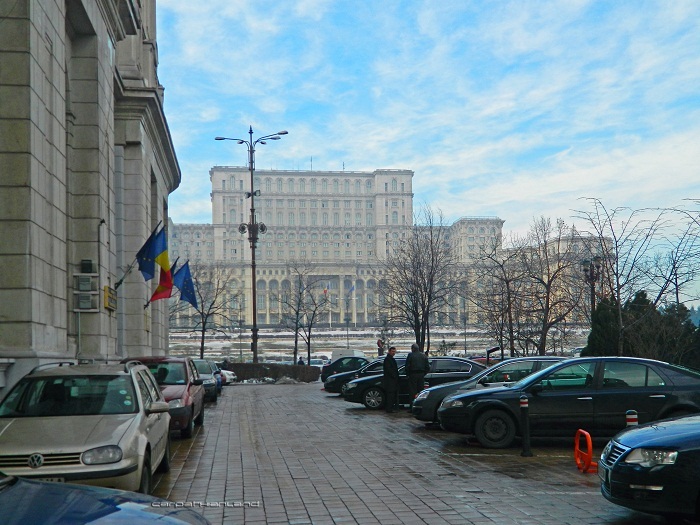 The so-called Project Bucharest definitely was one of the ambitious projects which the late leader began in 1978, and is quite similar to the city of Pyongyang in North Korea from where Ceaușescu got the idea. So that the project could exist, it was necessary some deteriorating buildings to be destroyed, monasteries to be moved or destroyed too, which in the end culminated with the construction of the People’s House. 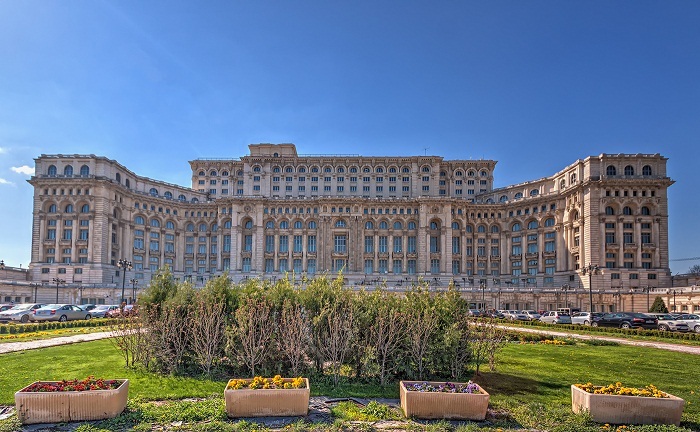 Construction began in 1983 with the cornerstone laid on 25 June 1984, where around 700 Romanian architects were involved in the design, however all were lead by the chief architect Anca Petrescu. The so-called Uranus-Izvor neighborhood had to be demolished so that the plan would continue, and due to that demolition around 40,000 people were relocated. 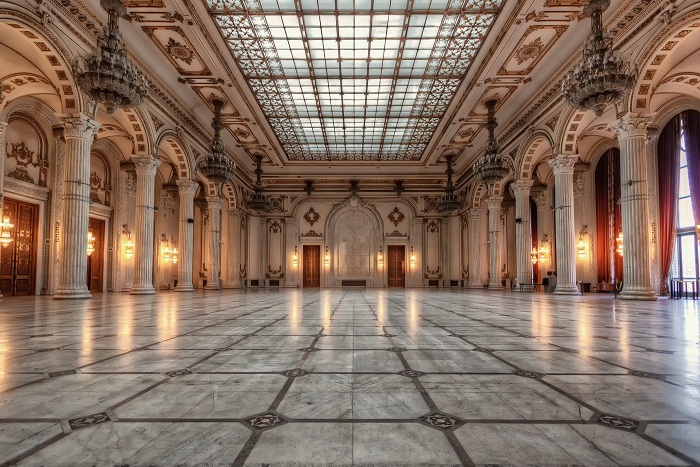 The building has 12 floors, with some 1,100 rooms, with a floor area of 365,000 square meters (3,390,000 square feet). 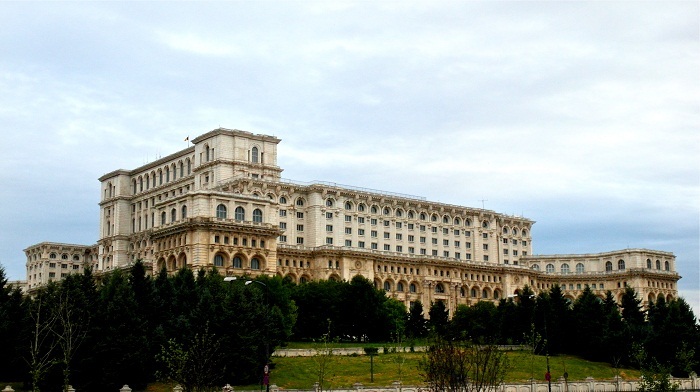 The Palace of the Parliament is 240 meters (790 feet) long, 270 meters (890 feet) wide, which makes it also the world’s largest civilian building with an administrative function and world’s heaviest building. The cost for construction was reduced because soldiers were forced to help with the construction, and the construction officially ended in 1997 with a total cost of €3 billion. 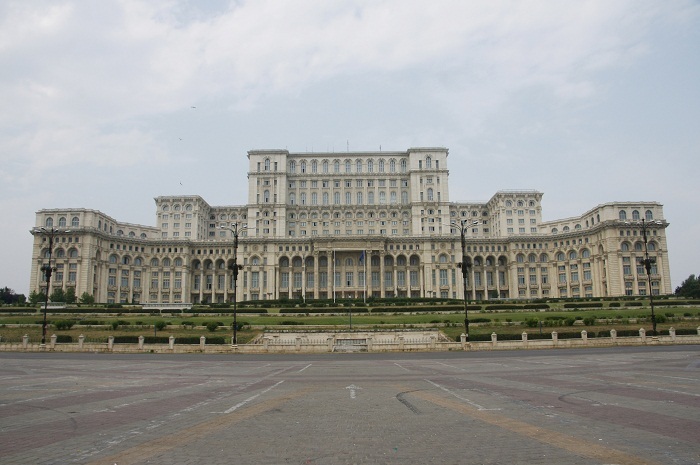 The Palace was finished with materials of Romanian origin, except for the doors of the Nicolae Bălcescu Hall, which were received by Nicolae Ceaușescu from the President of Zaire and personal friend of the Romanian leader, Mobutu Sese Seko. It is quite interesting fact that if some kind of material was missing for the Palace, a factory would be built so that the material would be made, and even enormous machines were moved inside the palace so that some of the larger carpets would be weaved. 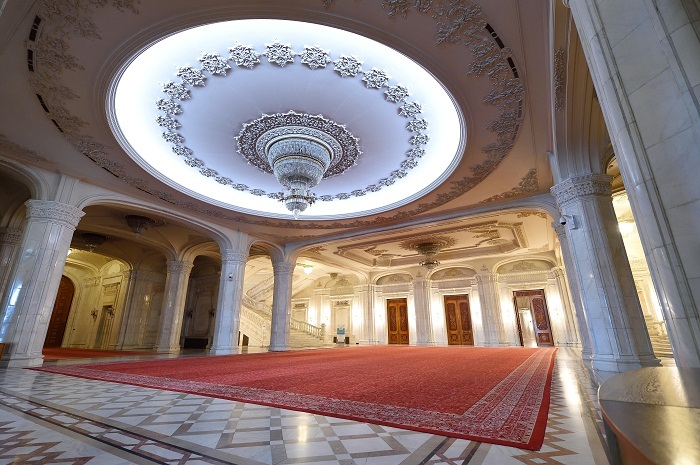 The whole Palace has around 3,500 tonnes of crystal (480 chandeliers, 1,409 ceiling lights and mirrors, 700,000 tonnes of steel and bronze that comprise the monumental doors and windows, velvet and brocade curtains, 200,000 square meters (2,152,782 square feet) of woolen carpets which have different dimensions etc. 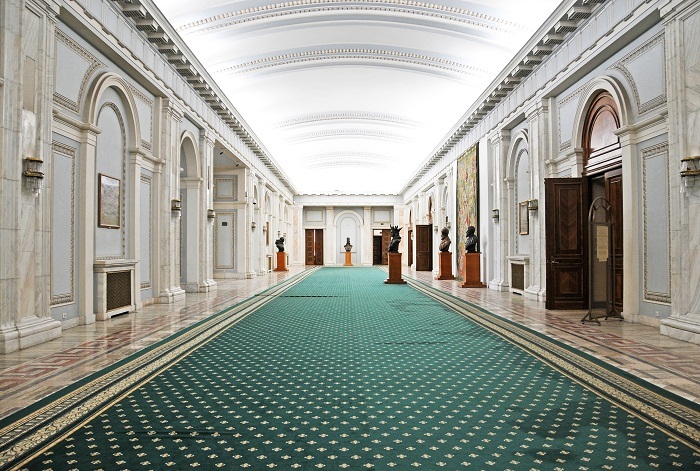 Most of the Palace remains unoccupied since it is quite big, however, after Ceaușescu’s deposition, the new government moved in the Palace, and also nowadays the National Museum of Contemporary Art is located within the premises. The official guides of the palace are not allowed to answer to some questions such as how many people died during the construction, how many floors there are underground, what is the official cost etc. Even though the building is very controversial, and some people dislike it, one can always be amazed as soon as sees it in person.